Physical therapists are often identified by their ability to help people rehabilitate injuries, but did you know they can help you prevent an injury before it happens? 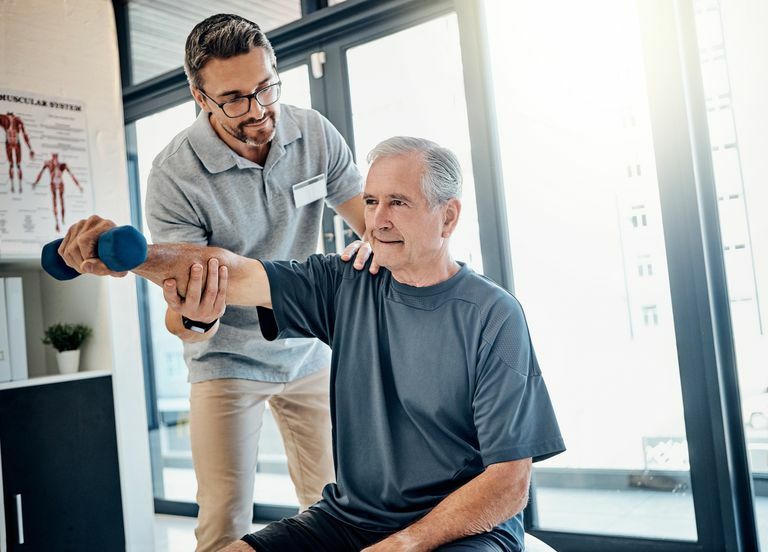 Although rehabilitating injuries is a significant component of physical therapy, these health care providers are able to provide services far beyond the injured population. Physical therapists are experts in the way the human body moves. They are able to provide a unique perspective on purposeful, precise and efficient movement across the lifespan by evaluating the movement system through their expertise in mobility and locomotion. From this evaluation, therapists are able to design a customized and integrated plan of care to achieve the individual’s goal-directed outcomes. So the question becomes, outside of rehabilitating injuries, what else can physical therapists do that will benefit you? Physical therapists can help individuals become proactive by identifying body imbalances and risk factors that may predispose them to injury or inhibit their physical performance. By evaluating and addressing these factors, injuries may be prevented. In addition, proactive strength and balance training can help facilitate the ability to perform daily activities and participate in recreational, community, and athletic activities. This is also referred to as pre-rehabilitation, or “prehab.” Research has demonstrated the positive effects of pre-rehabilitation in patients undergoing artificial hip and knee replacements. Patients who perform a supervised exercise program that includes strength, range of motion, flexibility, aerobic and balance exercises before surgery are less likely to require inpatient rehabilitation and often recover at a faster rate. In addition to improving the rate of successful surgical outcomes, prehab is also an opportunity to build a trusting relationship with your physical therapist. Furthermore, it provides prospective patients with the opportunity to ask questions regarding post-operative management and become familiar with the clinic and associated staff. This typically focuses on building strength, flexibility, balance and endurance. Many therapists utilize a whole body approach to heal an individual patient’s unique orthopedic or neuromuscular condition and improve their functional capacity for daily tasks, work and fitness/athletic activities. Certain therapists expand their education and skill set and become board-certified specialists in orthopedics, women’s health, geriatrics and cardiopulmonary rehabilitation, to name just a few. Other physical therapy specialty areas include pediatrics, sports, electrophysiology, neurology and oncology. Adherence to a sport-specific training program for athletes can be extremely beneficial in preventing injuries. Another advantage of this type of program is enhancement of athletic performance. These programs often incorporate proper warm-up exercises to perform before games and practices. They typically have a strong emphasis on accurate body mechanics and sport-specific movements. Physical therapists are trained to work closely with individuals who have a history of falls or feel unsteady on their feet. Working on specific balance activities and improving core strength will help to reduce the risk of falling fall risk and promotes independence. Physical therapists help people who experience chronic pain with exercises that often focus on improving strength, flexibility and endurance through a graduated program. This can help to reduce pain, improve sleep, and promote the ability to take part in social, work, school, and recreational activities. Your therapist will also educate you on the mechanism of “chronic” pain, how it differs from “acute” pain, and how to manage your own pain. With technology these days, many of us are frequently using computers, phones and tablets and are often unaware of our posture while doing so. Looking down at your phone can put up to 10 pounds of extra weight on your head and neck, which can cause a multitude of orthopedic problems. Physical therapists can help teach you what correct posture actually means and how to implement it into your daily life. In addition, they can help with how to properly set your desk up for office workers and with body mechanics for people with more physical jobs. We only have one body, so why not utilize experts in the human movement system to keep things moving? Think of it like you would your regular dental cleanings. Many people typically go to the dentist one to two times per year to prevent oral health issues and to identify potential problems. Your physical therapist can provide the same type of service, by keeping you moving and doing the things you love to do! This was originally posted in an issue of the Charlotte News – find the original link to the article here. Posted by Katherine Spencer, who holds a Doctorate in Physical Therapy and is a Board Certified Clinical Specialist in Orthopedic Physical Therapy, working at Dee PT in Shelburne.